This BioBlue model, BB.4220-P, is equipped with a monocular head, Siedetopf 45° inclined 360° rotating, having DIN WF 10x/18mm eyepiece with pointer and semi plan achromatic objectives, 4x, 10x and S40x. The crisp high resolution images at 40x, 100x and 400x magnification remain perfectly in focus when changing magnification. All optics are anti-fungus treated and anti-reflection coated for maximum light throughput. Polarisation is achieved with an Analyser mounted in a slider under the optical head and a 360o rotatable, graduated polariser on the lamp house. 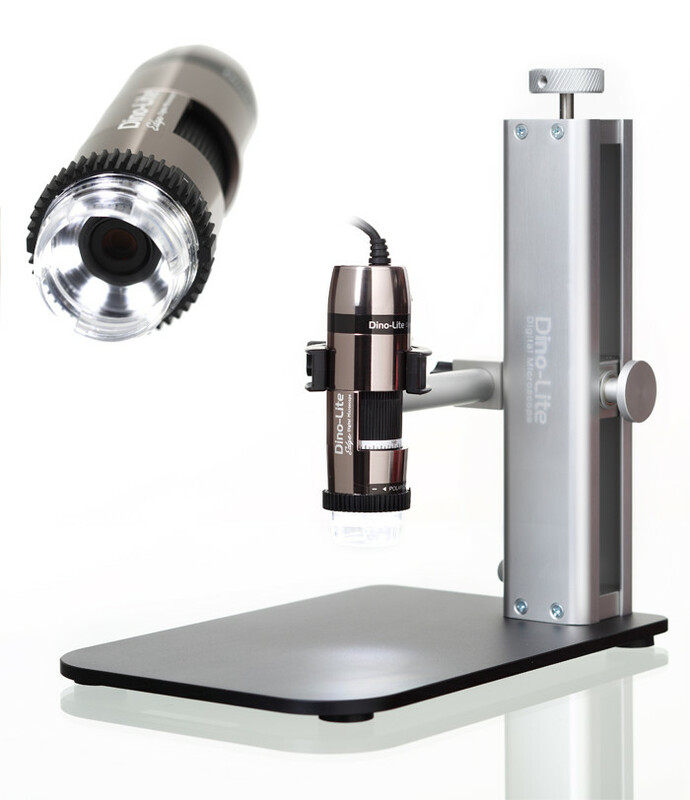 Featuring a 129 mm circular stage, 360o rotatable with 2 object clamps. Coaxial coarse and fine focus adjustment is provided with 200 graduations. Precision of 2 μm with 0.4 mm per rotation. Total travel is approximately 23 mm with adjustable rack stop to prevent damage to samples and objectives. The course adjustments are equipped with friction control. Height adjustable Abbe condenser N.A. 1.25 with iris diaphragm and filter holder. Illumination is provided 20W Halogen illumination for correct colour rendering. View alternative models of BioBlue range on the Similar Products Tab. Microscope, power cord, dust cover, spare fuse, spare bulb, blue filter and user manual. All packed in styrofoam case.